← Ward 11 residents – join reps from CPP at Community Resource Fair tomorrow! 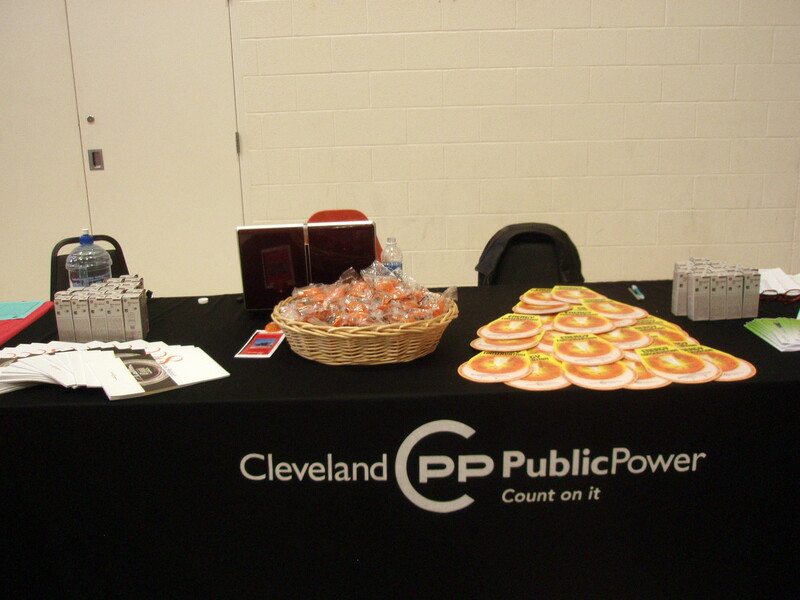 The Cleveland Public Power table. The Community Resources Fair at St. Mary’s Hall just started and we’re waiting to see as many residents of the Ward as possible. The Division of Water is here along with City of Cleveland Community Relations, Water Pollution Control, Cleveland Police Department, Cleveland Public Library, Humana, Tri-C and many more! Come out and learn about the many services available to City of Cleveland residents! We’re here until 7:30 p.m. and the first person to stop at the CPP table and mention this posting will receive a nice little prize!